The Battle of Sabilla (March 29, 1929) was the main battle of the Ikhwan Revolt in northern Arabia between the rebellious Ikhwan forces and the army of Ibn Saud. It was the last major battle in which one side rode camels, as the Ikhwan emphasized radical conservatism and shunned technological modernization. The rebellious, but technologically mediocre, Ikhwan were decisively defeated by the Saudi forces, which included machine-guns and cavalry. Faisal al-Dawish, one of the three leaders of the rebellious Ikhwan tribes, was wounded in the battle. According to Ibn Saud Information Resource, his injury was "serious". Another leader, Sultan bin Bajad, allegedly fled the battle scene. In the eyes of Ibn Saud's supporters, the battle was a necessary and fair fight for the ability to continue Saudi conquest of the peninsula. The Ikhwan regarded it as a massacre, a betrayal, and a sign of Saudi capitulation to British colonialism. ↑ "Ibn Sa'ud's defeat of the Ikhwan". Encyclopedia Britannica. 1 2 "Battle of Sibilla". 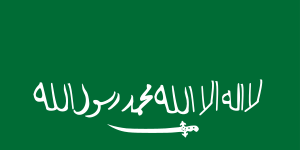 King Abdul Aziz (Ibn Saud) Information Resource. ↑ Lacey, Robert (2009-10-15). Inside the Kingdom: Kings, Clerics, Modernists, Terrorists, and the Struggle for Saudi Arabia. Penguin Group US. p. 16. ISBN 9781101140734. Retrieved 14 November 2013.